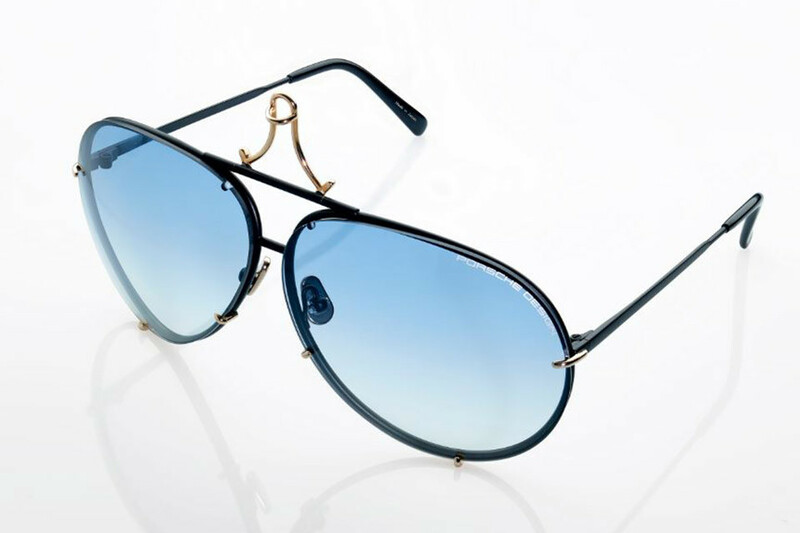 In 1978 Porsche Design introduced an iconic piece of eyewear, their Aviator-style P'8478. That's forty years of intelligent interchangeable lens mechanism, a smart quick-release nose closure, and a stylish drop-shape. If you are nostalgic for the 1970s, Porsche Design eyewear still kicks it old school. In deference to this design's 40th anniversary, they're releasing a special edition limited to just 1,978 pairs. These special anniversary edition Porsche Design glasses come with gold accent pieces and three of the brand's most popular lens colors. This kit will be available in Porsche Design's brick and mortar stores and at porsche-design.us later this month in exchange for $935. Think back to 1978 and the product that was on the showroom floors of Porsche dealers. Could you imagine any of those cars [the last of the mid-year narrow-body impact bumper 911s, the first year of 928 production for US consumption, and the still new 924] standing the test of time? The Porsche Design aviator glasses have remained almost wholly unchanged in all these years, and yet Porsche's truly iconic 911 has been through gradual, but complete change. Through the 911 SC, the 3.2 Carrera, the 964, 993, 996, 997, and nearly the entire run of the 991 generations, the design of P'8478 hasn't changed a lick. If that isn't staying power, I don't know what is.